In my last installment of #OrganizeMe, I shared the way I block off my time each week to have the best chance at accomplishing all I want to. It’s the only way I’ve found to “fit it all in,” and even then –sometimes life happens, and it doesn’t “all” get done. If you’re single, that might be all you need to get organized since once you master your own time, you’re set. But if you live with others –whether roommates or family– odds are, a big aspect of organizing your time revolves around coordinating the schedules of multiple people. There are apps that some folks love for keeping a husband and wife (and even their kids, if they’re tech-connected as well) on the same digital page. If that’s the approach you’re looking for… sorry, you’ve landed in the wrong place. I know, I know — we are each walking around with a computer in our pocket that has more power than what used to take up a while building. I hear you. I adore my phone’s GPS feature and even though I still break out my DSLR for special occasions, my phone’s camera has become my BFF❤️. HOWEVER, using the phone’s calendar/notifications/calendar-linking-apps just doesn’t work for me. My brain literally just loses information I type into my phone calendar. 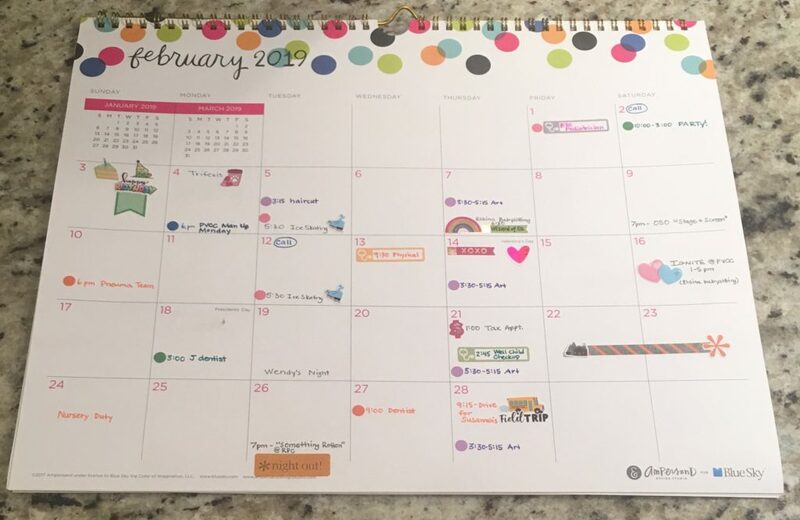 An Erin Condren Life Planner open to February 2019 is shown above a large wall calendar open to February 2019. 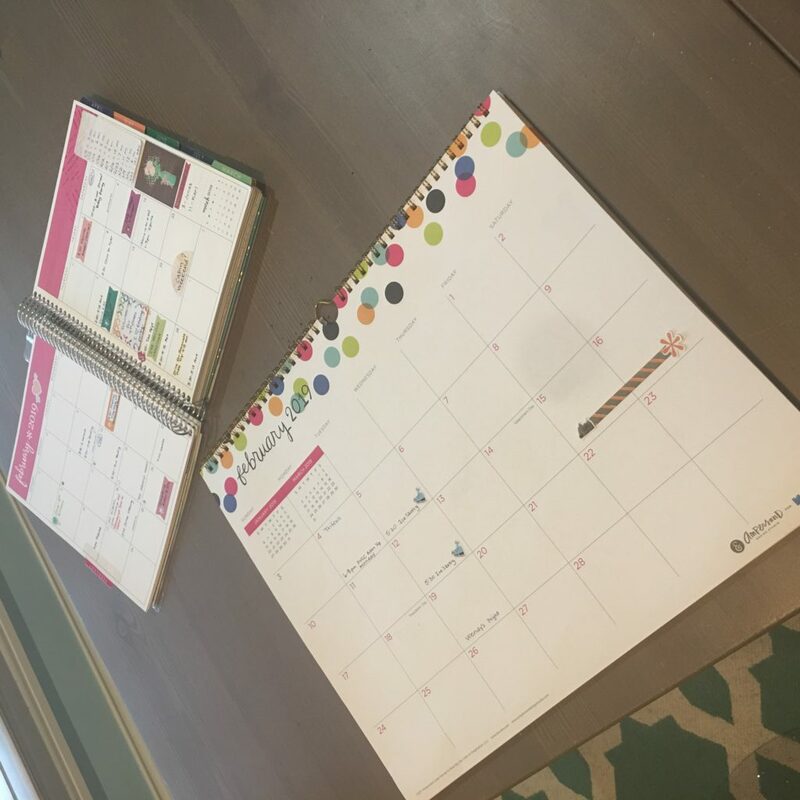 I carry my ECLP with me everywhere when I make appointments, sign the kids up for lessons or teams, buy entertainments tickets, and everything else that needs a date and time in our lives, so it’s chock-full of information about the upcoming month. If you’re comfortable setting appointments and reminders on your phone, you could use your phone calendar for this step of the process. I transfer everything to the large wall calendar. Now the caveat: I like stickers. And I like to color-code with pens (orange for me, blue for Chris, green for Jonas, purple for Susannah, pink for Abigail, gray or black for whole-family). But hear me: you do not have to do anything cutesy to make organization work for you. Use a plain black ball-point pen if that’s more your style! The key to making this work is simply to put every time obligation in one place. February 2019 wall calendar with color-coded time obligations filled in. This is how you’ll know that you and your spouse need to divide and conquer next Friday night to get everyone where they need to be. This is how you’ll be able to say “yes” or “no,” confidently, to plans with a friend because you’ll already be aware of your spouse’s time commitments. This is how you’ll be able to predict that your introverted self is gonna feel overloaded and need a day of rest — or that your extroverted self is gonna feel squirrely after too many days alone with your kids and you’ll need a night with your friends! The only things I don’t note on this calendar are some of my appointments that take place during the work/school day, because they don’t impact anyone else in the family, and our regular Sunday morning and Wednesday evening church plans, because they are so routine. 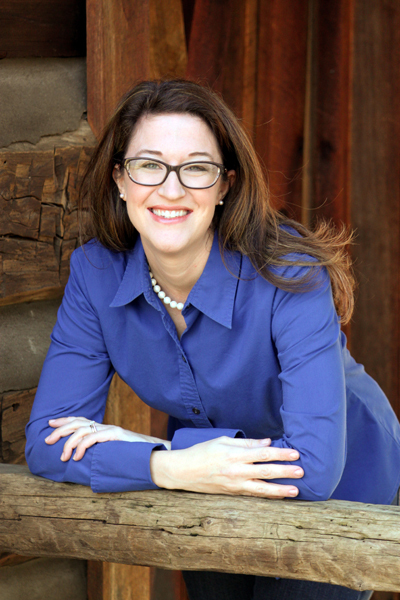 I do write in special church events or services and days when I’m scheduled to serve. Once everything is in place, this calendar is hung in our kitchen where everyone can see it. 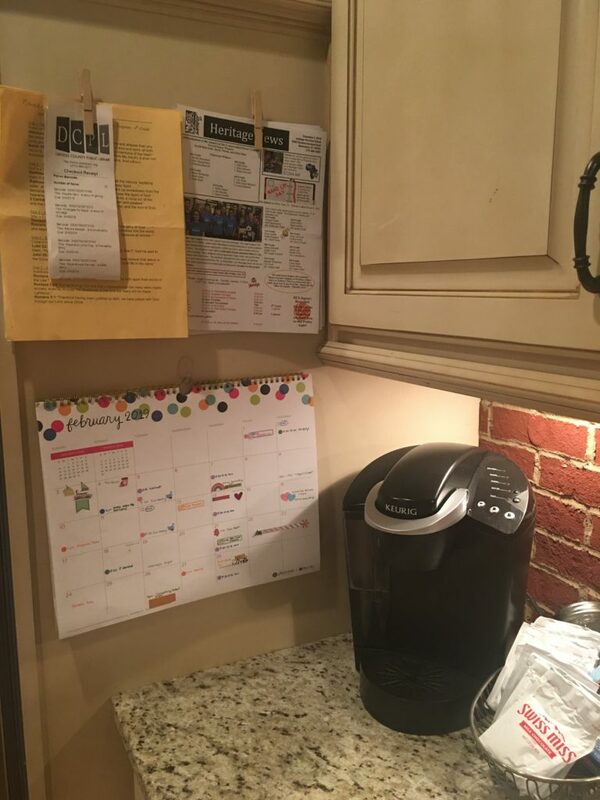 February 2019 wall calendar hanging on cabinetry beside a coffee maker. Two clothespins above the calendar hold school notices and a receipt. The clothespins above the calendar are attached to the cabinetry with 3M removable adhesive (extra strips from packs of hooks). I use those to keep school newsletters, library due date receipts, birthday party invitations, and other kid-centric paperwork that comes through the house. What’s amazing is that the calendar fills in even more over the course of the month. We’re busy! Every family is.😊 But the saving grace of this kind of organization is that it allows you build in the margin you need, at this season of your life. When we had littles, I didn’t schedule anything late in the evenings because bedtimes x3 took a lot out of me, but I did host a ladies’ Bible study in my home that doubled as a playdate for the kids. Now that my crew are in school, we still need to keep a reasonable bedtime, but they can hang much later. The date nights on our calendar used to be evenings for free or cheap and usually at home; now we plan pretty regular nights out with a babysitter. We now really love having folks over for dinner, and keeping our month organized helps me see when we have space to do that and who we haven’t shared a table with yet (or recently). Chris and I both enjoy getting out with groups of friends, so at some point this calendar will probably have at least one “Supper Club,” one “Mom’s Night Out,” and one “Dad’s Poker Night” in place. Whatever season you are in –and let me encourage you that they ebb and flow!– I am 100% sure that the organization of a family calendar will be a help and a blessing.